Yesterday I went with a friend to do a longer ski at Whistler Olympic park in the Callaghan Valley. The plan was to ski some good km's on the trails for the upcoming Payak Loppet (February 23). I've registered for the 50k again, as it seems I've bizarrely forgotten how hard it was last year! Anyway, I committed to the loppet before the snow flew this season. It's a great thing to have this always in the back of my mind for the evenings I'm finding myself debating- hmmmm...will it be the sofa or the ski hill? 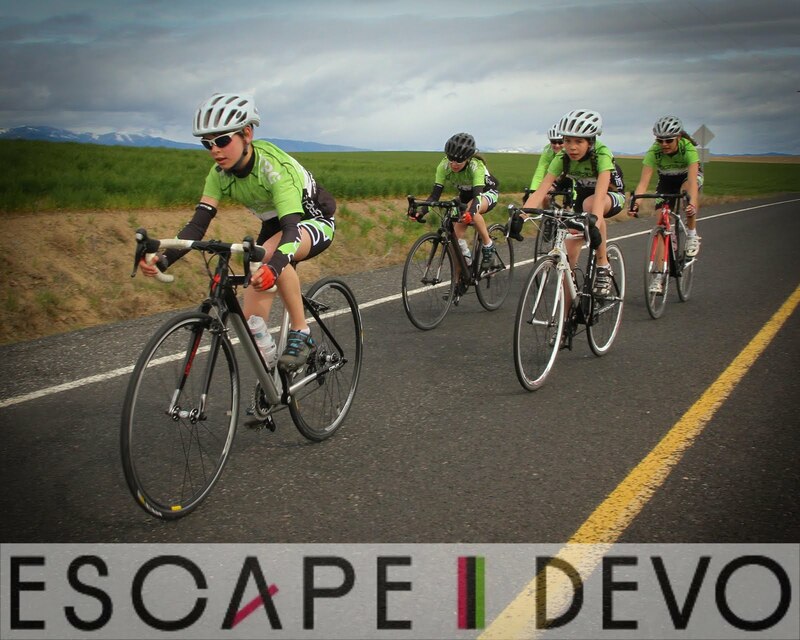 I raced my last ever bike race in Dec 2009, and after a year of my only exercise being hikes with the pooch, I found myself feeling a bit lacking in fitness department and like I needed to find a brand new sport. It was December and winter, I made a rare spur of the moment decision, got in the car, picked up a new set of nordic skate gear, and drove up to Cypress Mountain for my first (humbling) nordic skate ski outing. Badly in need of both technique and fitness, nonetheless I quickly fell in love with the sport. As a rank beginner it was so fun and satisfying to be on the steep section of the learning curve and with each trip to the trails to see rapid and consistent improvements. Picking up nordic skiing also gave me a whole new appreciation and love for the winter season, which as a cyclist I had previously only thought about in terms of grittty fendered winterbikes, frozen feet, and daily soakings to the bone. Yeah not so good for having a good attitude toward the winter! As a skiier now, I've became quite interested with all aspects of snow and winter weather. Through reading and just watching the weather myself, I have begun to learn what weather conditions make what sort of snow conditions on the ski trails. I understand that the BC coastal snow proved to be quite a challenge for all the nordic ski wax tec's at the 2010 Winter Games. And now even with my limited skiing experience I can begin to appreciate this. We have so much snow, so many types of snow and the conditions can change so darn quickly. Yesterday during my 3h ski, after about 1h the snow started to fall pretty vigorously and in what looked like giant clumps. On my second lap of the Payak course trails I found that my earlier tracks had all but disappeared and that it was now like skiing on sand. I have experienced very slow conditions before with fresh very cold snow flakes and suction from wet warm springtime snow, but nothing like this. I was kind of surprised that I was having to actually skate down the hills that 1.5 h earlier I'd easily been able to glide down. From my basic understanding about snow and waxing I knew that the flakes must be sharp ones, despite the mild temperatures that day. The pictures are just amazing! Plus, I found the graph that follows the gallery really interesting. 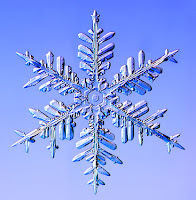 Nice to see the science that explains that those apparently soft fluffy flakes were in fact made up of many sharp spikes (see image above). Acting like shards of glass under my skis, they were digging into my 'warm' wax and all the grooves of my 'warm' ski bases so that the moment I stopped to apply some force to my skis and poles I'd come to a screeching halt. It was kinda like riding a stationary bike with the resistance set on high. Great workout though! 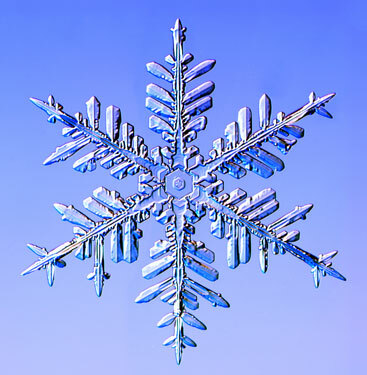 And as interesting as it is, it's equally fascinating to me that in this high tech age the formation of the humble and beautiful snow flake still remains a cool mystery even to the snow scientists.